The other day I was unpacking yet another moving box, and found an old notebook from 2012 that outlined the exact steps I needed to grow my business in a big way. It was literally a plan to make $5 Million in the next 5 years. Doing the math, that would be 2017. If I had just stayed the course and followed through on this plan, I’d be making $5 million this year. But I never followed through on it. In fact, less than 6 months after I created that plan, that notebook got packed away. It didn’t see the light of day again until this week, when I was thumbing through it to see what it was. My business is nowhere NEAR that number today. Not even close. What happened? Several things, actually. Too much hustle and not enough breathing room, for one. 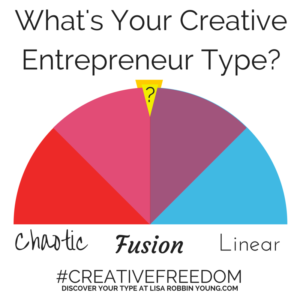 A creative entrepreneur can’t thrive being on the hamster wheel of hustle all the time. There was more, and I want to share it with you so that you don’t make the same mistakes I did. That’s why I’m hosting a Facebook LIVE to talk about it. You’ll see my notebook with every detail of my #plan. You’ll hear what was RIGHT about it, as well as what was SO wrong that it ended up packed in a box for five years. You’ll also hear how I’m resurrecting it and what I’m doing differently now. Plus, in a live format, you can ask your questions so that you can tweak my plan and make it work for you. Here’s the replay link from my Facebook page. 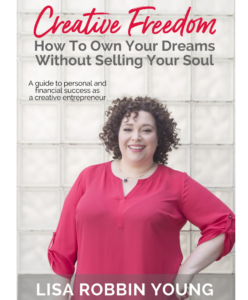 Creative Freedom Live – October 12-14, here in Nashville.